Written by Susan Waits and Katy Lindenmuth. There are plenty of famous people with great style. Whether they're killing it in a well-cut suit on the red carpet or embodying the idea of casual cool in a paparazzi photo, there's always that group of guys with style worth paying attention to. And then there are the other dudes. The ones who keep horrible stylists in business and who regularly co-sign wack trends and brands simply because they don't care or don't know any better. Despite having the financial means and industry resources to look great, they don't. 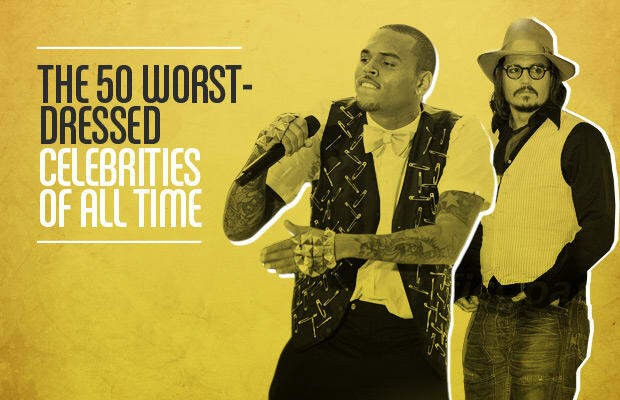 Sorry guys, you've just made our list of The 50 Worst Dressed Celebrities of All Time.